All the effects were done frame by frame in Photoshop. The footage was edited in Adobe Premiere. 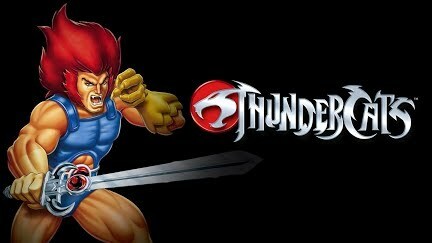 Special thanks to XY3D.com for the producing the 3D animated thundercats emblem. Here's the list of the actors movies and music I used to make this. Lion-O: Brad Pitt, Mel Gibson. 10,000BC, Masters of the Universe, Indiana Jones and the Last Crusade, Lord of The Rings: Return of the King, Farscape: The Peacekeeper Wars, Chronicles of Riddick, Pitch Black, X2:X-men United, X-men:The Last Stand, Troy, Star Trek6: The undiscovered Country, Space Hunter: Adventures in the Forbidden Zone, Stargate, Mighty Morphin Power Rangers: The Movie, Garfield, Enemy Mine, Spykids, Underworld, The Mummy, The Mummy Returns, Galaxy Quest, John Carpenter's Ghosts of Mars, Planet of the Apes, Aliens, Mortal Kombat: Annihilation, Reign of Fire, Mad Max Beyond Thunderdome. Blade: Music From And Inspired By The Motion Picture.